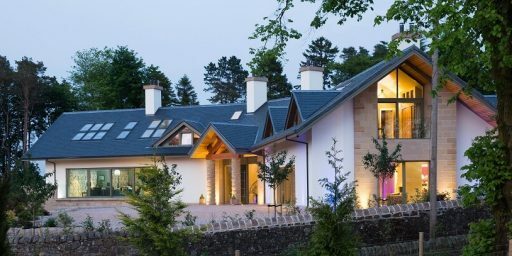 Have you ever considered moving towards renewable energies but you don’t want to change the elegant look of your home? 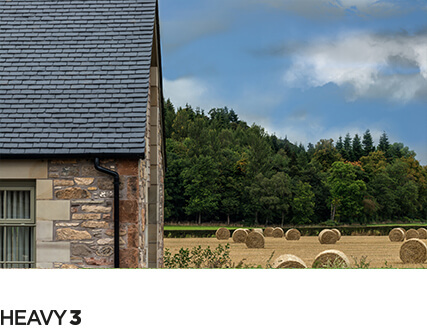 Solar thermal system provides significant environmental advantages such as making an effective contribution in preserving our energy reserves and protection by reducing CO2 emissions. Solar panels are big, unsightly and often slapped onto roofs as an afterthought. 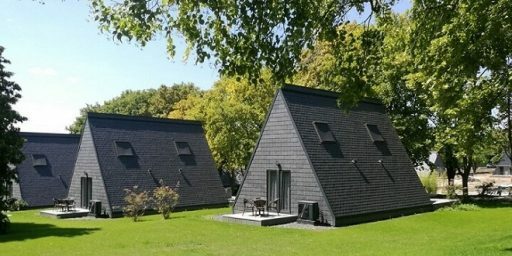 Nevertheless, as solar architecture has become more pervasive, designers have had to push the aesthetics even more. 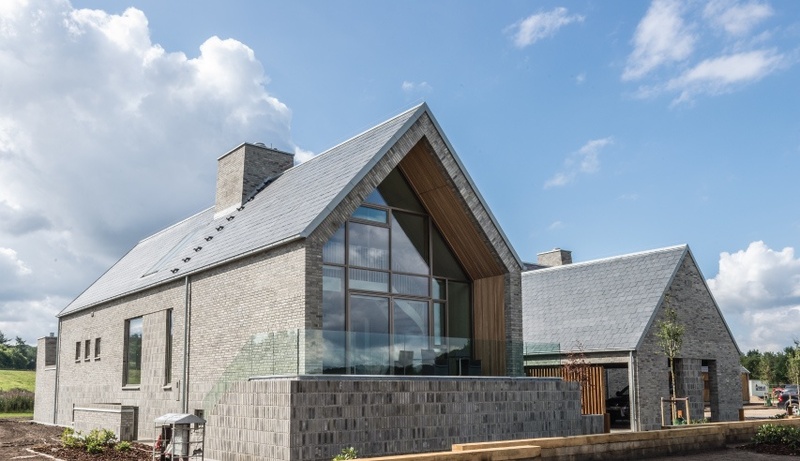 Those moves towards sustainable building have reaffirmed the need to implement solutions such as THERMOSLATE®, which as well as improving the energy efficiency of your home, offers aesthetics that suits any architectural design. Let us show you why! 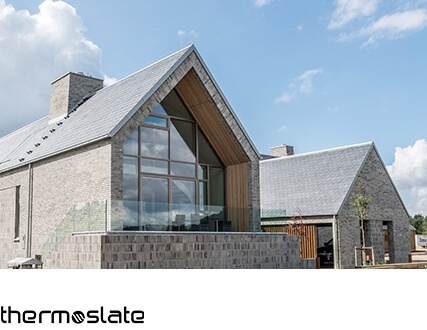 THERMOSLATE® is a solar system in natural slate converting sunlight to energy to produce heating, hot water or for pool heating. 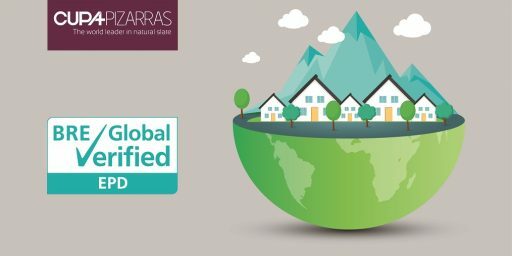 It is completely undetectable once installation is complete: it enhances a building´s aesthetics and efficiency, is easy to install and involves practically no maintenance whatsoever. 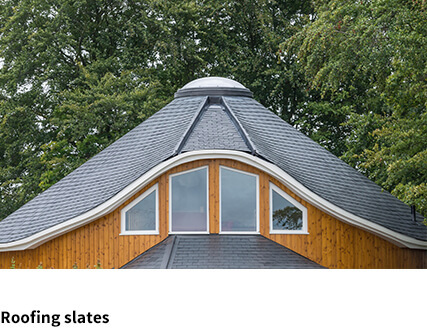 Look how these 4 gorgeous homes have thoughtfully incorporated a solar thermal energy system on their slate roofs! 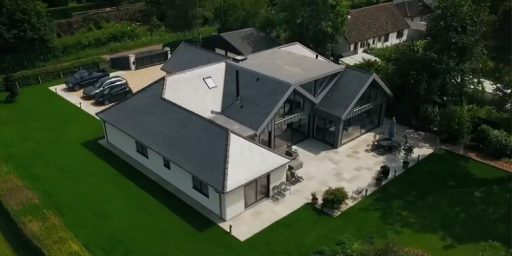 This system, made up of 7 THERMOSLATE® collectors with a total area of 7.84 m2, generates sufficient power to cover 76% of the heating, domestic hot water and pool heating needs for this home to a family of 5 people. 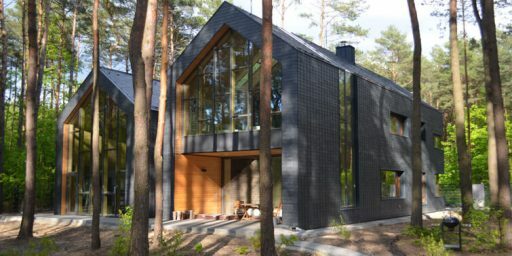 Moreover, this home achieves an annual saving of 580 litres of fuel oil, preventing the emission of 1.5 tonnes of CO2. 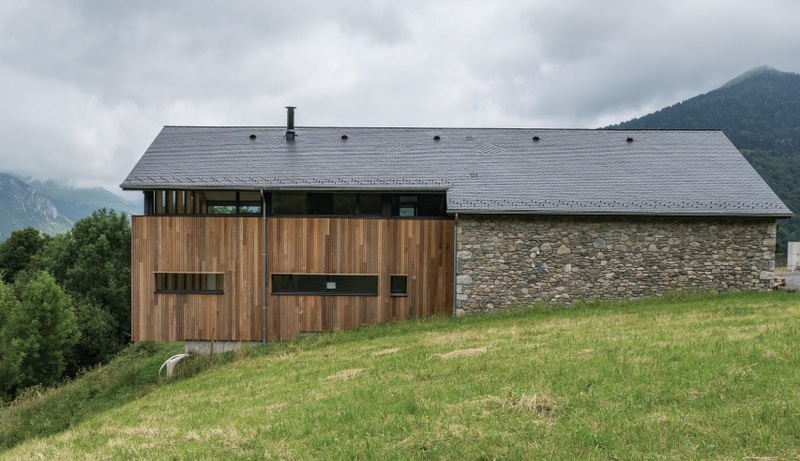 THERMOSLATE® is compatible with any storage and distribution system. After the initial system investment, the sun’s energy is for free, without future price increases due to rising fossil energy costs. And it is absolutely clean and non-polluting! 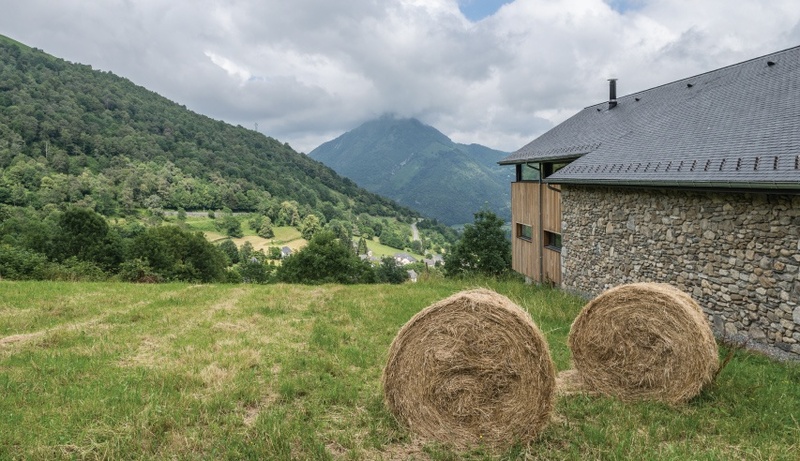 The solar collectors are made using spanish slate extracted from our own quarries, so ensuring perfect integration, regardless of the fixing system used for the natural slate roof. 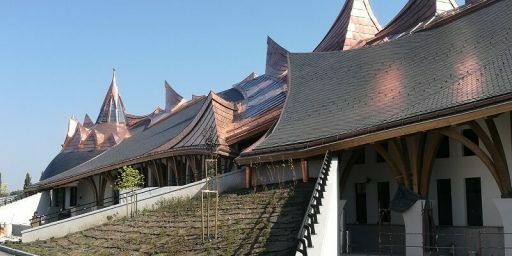 THERMOSLATE® enables you to take advantage of the efficiency of renewable energies without forgoing the elegant, sophisticated design of a natural slate roof. 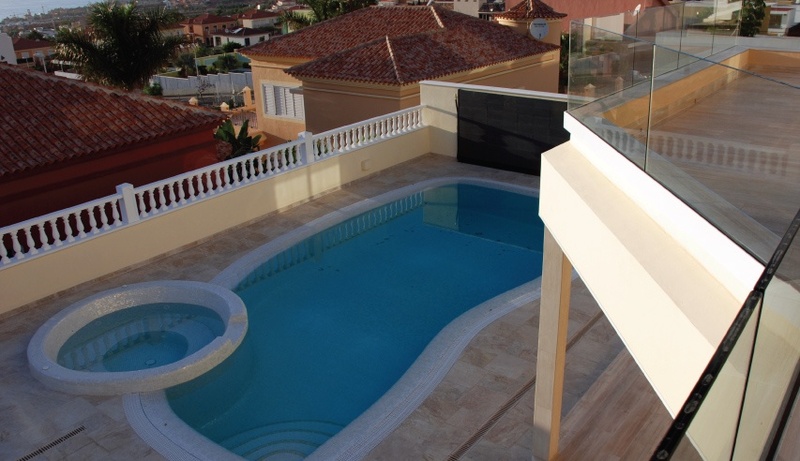 This also applies to pool heating .The owner of this house located in Santa Cruz de Tenerife, Spain, needed a system that would allow him to heat this pool with a total surface of 41m2 and 60m3 of capacity. In order to meet those needs, 6 thermal collectors were installed on a 6m2 surface. 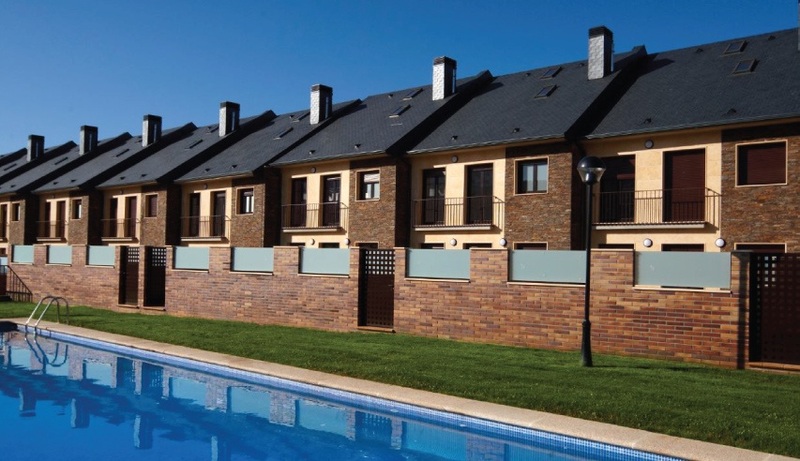 Besides conferring the exclusive elegance of a natural slate finish, this THERMOSLATE® technical solar floor system keeps the average temperature of the pool at 25ºC, 11 degrees above the water supply temperature. 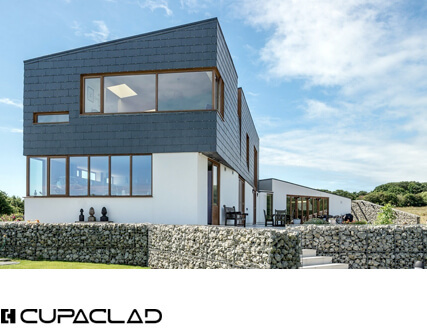 For further information about our solar thermal collector, download the THERMOSLATE® brochure.